Of all the tourist attractions in Alappuzha (Alleppy), first and foremost are the backwaters. Of course, there are the beaches, shrines and monuments, nevertheless Alappuzha is all about its vast lakes and tiny canals. People who reach Alappuzha for house boat trips feel amused finding backwaters almost everywhere. One of the conveniences about Alappuzha is that houseboats can be hired right in town. A handy location is the boat yard near KSRTC bus stand. The canal there has several boats waiting for customers. If you are not happy about the price or offer, there are several other locations to hire a boat. A place that deserves mention is Punnamada Lake house boat dock. They have an impressive array of hundreds of boats, all lined up, ready to serve. Boats come in different sizes and shapes. House boats, Kashmiri boats (Shikaras), motor boats and canoes are all vehicles to tranquility. House boats are a bit like floating cottages or even better. They come with a skipper and a cook. Get the best out by tailoring the trip to your preferences. Do you want overnight houseboat stay? Visiting monuments and shrines interest you? Do you prefer the vast expanse of Vembanad Lake? How about getting to the canals of Kuttanad? Kuttanad is a stunning mix of canals, rice fields and leafy greens. Canals flow alongside vast paddy fields. The land is at a lower level than water, so we see dykes alongside the canals. The dykes are quite large and even have houses on them! The awesome feeling of floating along such a a landscape may only get distracted by interesting sights of village life that unfold around. 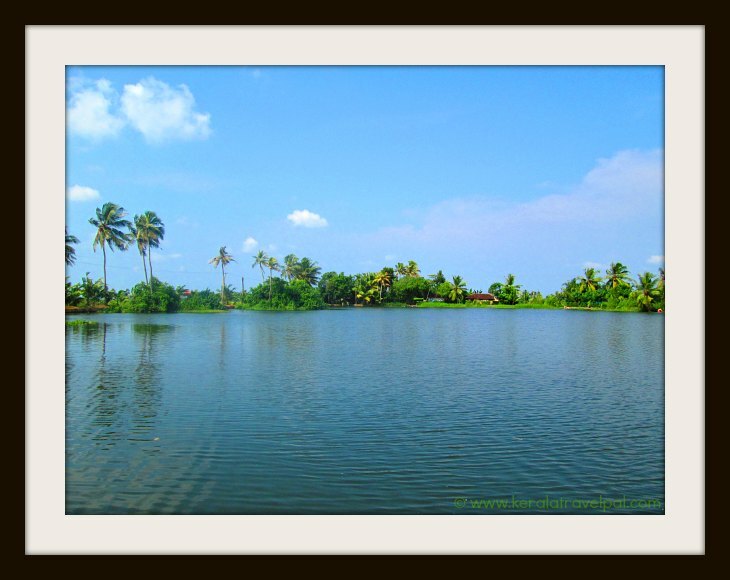 Kuttanad, one the leading tourist attractions in Alappuzha, is a fond place of most tourists. Canals are an important part of life, in this region. In some villages, the main mode of transport is canals. Not to mention going for shopping and getting to school, we even see people visiting waterside churches in small country boats. The tiny island in the middle of Vembanad Lake is a stop by location for backwater tours. The 20 hectare islet is a bird haven. Pathiramanal is only 4 kms from the boating hub of Kumarakom. From Alappuzha, the island can be reached by about 40 minutes boat ride. Although near the border to Kottayam, Pathirmanal still makes it to the list of tourist attractions in Alappuzha. The popular beach in town is a great place to spend a few hours or an evening, swimming, surfing or getting involved in some water sports. Even though tides can be a bit strong at times, it still is a favoured swimming spot. Ruins of a 140 year old pier extend to the sea. The beach also has a light house, which is open to visitors during afternoons (3 – 5 PM). Of the two beach side parks, Vijaya Park has children’s play area. It also has boating facilities. The park is open from 3 to 8 PM. Sea View park, just in the vicinity, also have boats for rent. They have a swimming pool as well. If you prefer a feel of remoteness, then Marari beach is the place to get to. Just 14 kms from Alappuzha town, this beach is near the fishing hamlet of Mararikkulam village. The beach is great; the negative though is that you may have to stick to the cleaner areas, as not all areas are as clean as we prefer. This old palace converted museum is home to Kerala’s largest single panel mural painting. Gajendra Moksham, the painting portrays a story from the ancient Hindu text Sri mahabhagavatham. 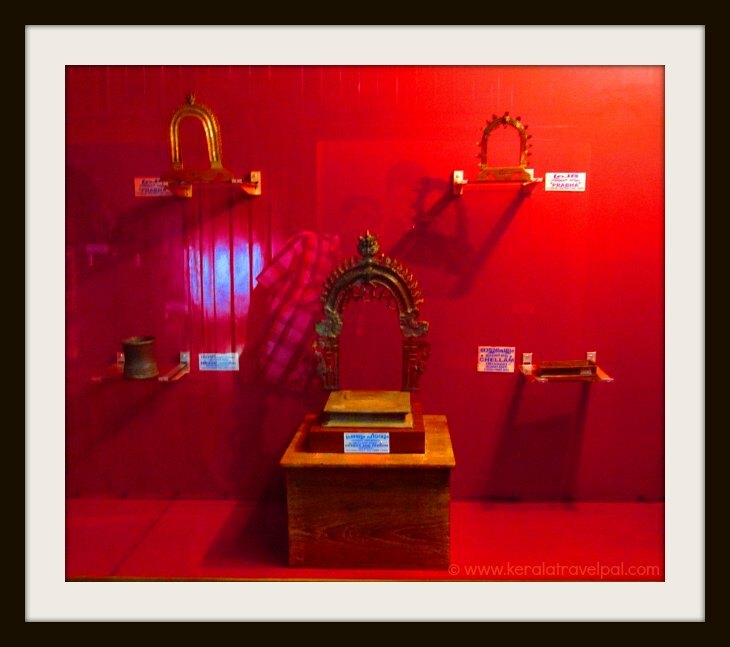 Most of the items in the museum came from the Travancore Kings, who ruled here prior to Indian Independence of 1947. The museum has a fascinating collection of paintings, sculptures, antiques and coins. Kerala style architecture of the building is equally impressive. Krishnapuram Palace, one of the interesting tourist attractions in Alappuzha, is 47 kms from town and a couple of kilometers from Kayamkulam. While in Alappuzha town, why not visit a local temple? Mullakkal Rajeswari Temple has the advantage of being Alappuzha town itself. The temple courtyard is open to non Hindus. If you are visiting, please make sure to follow local customs such as temple dress code and what to do inside. It is better to have a local fellow guide you. Goddess Rajeshwari is the deity. The temple celebrates two festivals –Navaratri (9 days) and Thaipooyakavadi. Best time to visit the temple is the morning. Karumadikuttan is an idol of Budha, held in a small monument in the village of Karumadi. Made of black granite, the statue is more than a thousand years old. The half broken statue is peculiar and interesting. Generally held explanation is that an elephant broke it the way it is now. Karumadikuttan shrine is near the backwater of Punnamada. One of the tourist attractions in Alappuzha, it is currently under the protection of Archaeological Survey of India. Karumadi village is about 15 kms from Alleppy town and 3 kms from Ambalapuzha. Champakulam village belong to the breathtaking backwater belt of Kuttanad. The existence of the church at Champakulam is traced back to about sixteen centuries. The church played a pivotal role in the development of Christianity in the region. Champakulam is also famous for the annual boat race held during June. Large snake boats can be seen in the nearby backwaters, throughout the year. Champakulam market has a few handy craft shops, catering tourists who fancy local souvenirs. Champakulam is located 26 kms from Alappuzha town. Blessed Kuriakose Elias Chavara was a priest, born in the village of Kainakari in 1805. The ancestral home of the saint attracts tourists and devotees. A chapel built here regularly conducts mass and Novena prayers. A visit to here is of spiritual significance to many devotees. Chavara Bhavan, located 6 kms from Alappuzha town, can be reached by boat travel. For those who are interested in visiting shrines, there are several famous ones scattered in the district. The notable Hindu temples are Chettikulangara Bhagavathy temple, Ambalappuzha Sree Krishna temple and Sree Nagaraja temple at Mannarsala. The churches at Edathua and Arthunkal are holy places with hundreds of years of history. Both the churches attract thousands of devotees. While all the above shrines belong to the list of tourist attractions in Alappuza, some have entry restrictions. So please check them before preparing travel plans.